Lead nurturing is the process of educating leads and building relationships with potential customers throughout the purchasing process. According to Forrester Research, companies that excel at lead nurturing generate 50% more sales-ready leads at 33% lower cost. A typical buyer spends months researching and evaluating solutions before deciding on a vendor. Delivering useful and relevant content to buyers through an automated nurture program drives higher conversion rates, accelerates the buyer’s journey, and improves your sales efficiency. Let’s examine the process visually. After doing a bit of research, new leads enter your database. You direct those that aren’t ready to engage with sales to nurture. Over time, the content you send builds trust with these leads until they’re ready to start a formal evaluation process. We call this a “reactivated lead.” While these reactivated leads weren’t ready to buy at their initial point of entry, they are now. Voilà — this is lead nurturing in action. From a technical standpoint, lead nurturing involves the automated delivery of communications — emails, onsite messages, text messages, and more. At Autopilot, we call these strings of communications a “journey." Journeys trigger off of either user behavior or timing. They educate recipients with targeted content, while simultaneously building a customer profile so it’s clear when a lead is qualified and ready for sales. The most successful lead nurturing programs start with clear goals and upfront pipeline and revenue targets. The goals you define will influence how you craft your nurture journeys and set about educating and qualifying leads. Once you’ve identified these goals, make sure you have the necessary measures in place to report on results and performance. Start with identifying what you’d like to track and where these reports will live. Most reporting can be pulled within Autopilot, from email reports to conversion metrics. These reports don’t require any upfront configuration. However, if you’re using a separate CRM (like Salesforce) or have a company-wide analytics platform, you’ll likely want to enlist the help of your marketing and sales operations team and/or your analytics team ahead of time. To report on certain results, like revenue, you may also need to connect a particular app or create a custom field to track it. You don’t need to have everything set up before building your lead nurturing journey. But it’s helpful to have everything in place before launching, so refer back to this throughout the process. Now that you’ve defined your lead nurturing goals, the next step is to create the contact and customer segments you want to target in your nurture journey. Demographic information: who are these people? Demographic data includes information like company, industry, job title, and location, which are gathered from a range of sources including email lists, form submissions, and your CRM platform. Behavioral data: what web, email, or in-product behavior have your contacts engaged in? Behavioral data incorporates email activity, webpage visits, in-app events, or billing-related actions. CRM status (if applicable): how have your sales or success teams engaged these contacts? Segment contacts based on whether they’ve spoken with sales, what their lead status is, who the lead owner is, which territory they are in, or what campaigns they’ve interacted with. Use a combination of these filters to define the groups you want to target with your lead nurturing journey. They should all be individuals who opted in and showed interest at some point, but need a nudge to continue their journey. One-touch wonders: those who took an action that captured them into your database (such as downloading a white paper or attending an event you sponsored) but you never heard from again. Non sales-ready leads: leads that sales reviewed, but didn’t engage with and instead marked as “not sales ready”. Cold leads: leads that have sat in your database for months without any activity — not even an email click or website visit. Pre-signup leads: leads who’ve identified themselves by subscribing to your content, but have not yet signed up for an account or trial. If you’d like, split your lead nurturing group into segments based on target personas or key industries to better align your messaging. If you think that’s necessary for your business, stick with two or three segments and create a separate nurture journey for each one. Verticals: break out your key verticals by using industry filters to determine if someone is in manufacturing, financial services, media, eCommerce, consulting, etc. Company size: SMBs have different challenges than enterprises. Use firmographic data to segment your contacts based on company size, number of employees, or even market size. Job title: executives care about results, while individual contributors care about making their day-to-day easier. If you sell to both, try separating the two groups to tailor communications. Department: if you have buyers in multiple departments, break these out. Marketing and sales may use the same software, but they do so in very different capacities. If you don’t have department-level information but do capture their job titles, try pulling leads into your smart segment based on keywords (e.g., title contains “marketing” or “sales”). Geography: a company in France works differently than those in the U.S. Similarly, companies in Texas likely don’t need to be aware of California laws. If your business is distributed, it probably makes sense to create nurture journeys for each location. It’s your job to ensure each contact gets the information they need to take the next step. Understanding your audience and their needs will make it easier to select appropriate content. Once you’ve identified your target segments, it’s time to focus on what content will help contacts progress in their buyer’s journey. Later, you'll be able to trigger unique journeys for each of them using an integration like Smart Segments. There are three main stages in the buying cycle, each with its own unique conversation happening in the lead’s mind. Early on, individuals are looking to do research about a general topic or pain point. From there, they move into evaluating potential solutions. Finally, they’re ready to make a purchase. The trick is to match the type of content you’re sending to where leads are in the buyer’s journey. We call this the nurturing content funnel. At the top of the funnel, contacts don’t know much about you. They’re new to your brand (and perhaps even your industry), which is why they’ve engaged so little. At this point, the most effective content builds your company narrative by linking to industry trends, pain points, and shareable facts, all while positioning your brand as an industry leader. In the middle of the funnel, contacts are further into their buying journey. They’ve identified an interest or pain point, but need to learn more about your company, product, or service. Send them customer proof points, tools that help them evaluate your solution, and company reviews. At the bottom of the funnel, contacts are familiar with your brand and are ready to take action. Now’s the time to send targeted call-to-action emails, such as invitations to set up a demo or sign up for a trial. You can use a template like the one below to see how the content funnel fits into an automated customer journey. With an understanding of the role of content at each stage, it’s time to take a look at your existing content and build your own content funnel. The most important element of your lead nurturing journey is the content itself — what topics you address, what assets you include, and what emails you send. In this step, we’ll dig into how to do an audit of your existing content, what content works best, and how to design emails for your lead nurturing journey. People often get discouraged by their “lack of content”, and give up on nurture before they’ve even started. Whether you have a large content library or one treasured ebook, chances are you have more content than you think. Think through all the resources you have at your disposal. Reach into your company’s archives and repurpose what you can. As long as it’s valuable, it’s okay if the content is a few months (or even years) old. Blog. Blog content is a great source for top-of-funnel content. Pull a list of all of your published posts, then sort by popularity (shares or views) to call out posts you should highlight. Website. 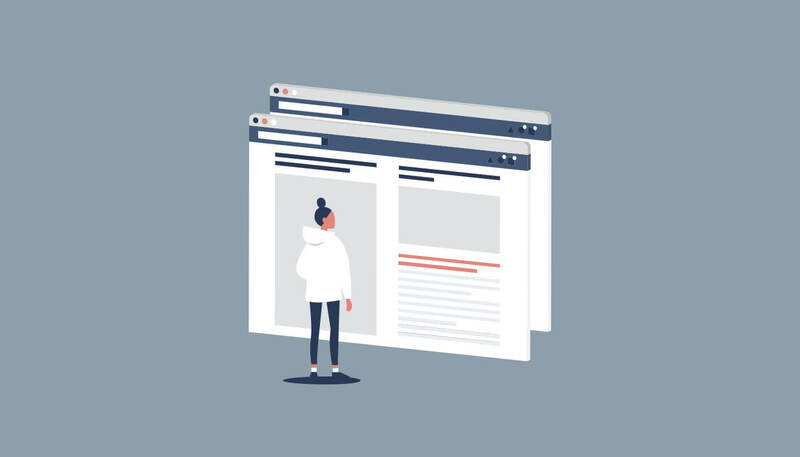 Your website contains a treasure trove of valuable content — filled with information about products, pricing, company background, and customer stories. Emails. Review past announcements, newsletters, or promotional emails that you’ve sent to your customer list. Repurpose what you can to reignite stagnant leads. Social channels. These show you exactly what your audience is talking about! Social channels are loaded with conversations that are prime for repurposing into lead nurturing emails or SMS. Pay special attention to tweets you can expand upon. Once you’ve taken stock of your existing content, select the best pieces of content to captivate your audience and get them clicking! Based on the content you select for your nurture journey, create summary emails that hook your reader and link them to the source content. 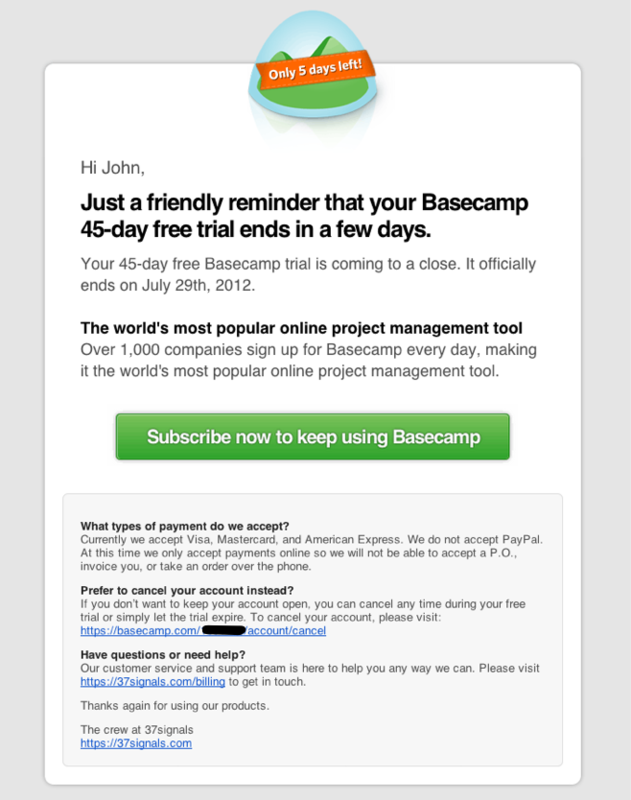 Use a simple, one-column, on-brand HTML template for your lead nurturing emails. Reserve plain-text emails for more personalized communications, such as invitations to a custom demo or for feedback. Keep it short and to the point. The goal here is to grab your reader’s attention and have a clear call to action. That’s the secret to great lead nurturing: It’s not about self-promoting. It’s about delivering value, which draws your contacts back for more. Learn more about how to easily create vibrant emails with responsive email editors. Content takes many shapes – from blog posts to videos, diagrams to infographics. If you can, try to include a good mix of asset types. Everyone absorbs content differently. Plus, some messages are better communicated through specific mediums. Below are some content types that work well for nurture. White papers and eBooks are long-form pieces of high-level content. You probably see a lot of “Definitive Guides”. Well, that’s because they convert! White papers are ideal for diving into more complex topics. They’re also great because you can gate them behind a form. Thought leadership articles can be leveraged to convince folks who’re new to your space why they should care about your product or solution in the first place. Webinars are an effective way to engage more directly with leads in a one-to-many format. You can present a range of content, from early-stage content all the way to late-stage content. Plus, prospects get their questions answered in real time. Infographics provide an engaging and skimmable format for data-driven storytelling. Present compelling data points you’ve found or your original research findings in an infographic. Newsletters enable you to deliver multiple updates at once. While they’re often product or company specific and are an ideal format for delivering enablement content, try creating an industry newsletter with top-of-funnel content to engage prospects early on. How-to videos are another great medium to experiment with. These videos are often cheaper to produce, show your product in action, and enable users to engage. Customer testimonials are a form of validation. Prospects hear about the problems you solve and the results you help others achieve straight from your customers’ mouths. Use customer testimonials to boost your credibility with social proof. Free trial. While it doesn’t work for all products, offering a free trial is a great way for leads to try your product before committing to anything. Sometimes the best way to learn is by trying it for yourself. Some people prefer long-form white papers or ebooks, while others learn best from videos and webinars. Still others prefer more skimmable content, like infographics. You need to take these different preferences into consideration if you want your lead nurturing journey to capture your audience’s attention. Launching a lead nurturing program will increase your brand awareness, engage and educate leads, stimulate conversions, and grow your bottom line. Companies that successfully nurture and reactivate stale leads grow faster while spending less on customer acquisition. Lead nurturing takes time to plan, launch, and improve, but once you launch your journeys, the impact on your business will immediately be visible. The most important thing to remember is that you’ll see a huge benefit from even the most basic nurture journey! Use the template below is another great place to get started.